A new technique may one day allow fast, simple detection of the bacterium that causes TB, as well as a way to monitor whether drugs are working. 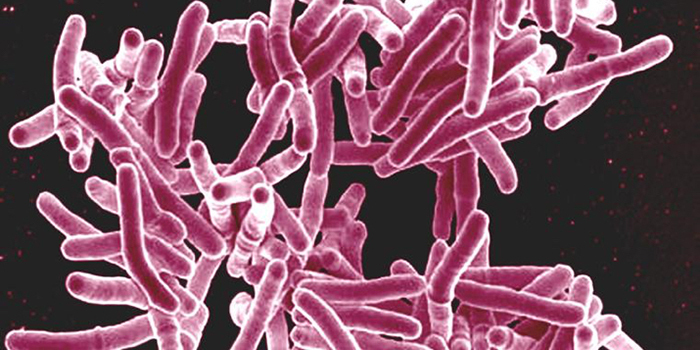 Chemically tweaking a sugar molecule known as trehalose lets it slip inside the bacterium that causes tuberculosis (TB) and glow. The method offers a quick, simple way to detect the pernicious bug, and may help counter TB, a deadly lung infection that’s particularly common in developing countries. Despite its devastating toll on health, the bacterium behind TB, Mycobacterium tuberculosis, can be hard to spot. Current tests rely on chemical stains that have been around for decades and can be finicky. Estimates put the sensitivity of these stains anywhere from 32 percent to 94 percent. As a chemist, Bertozzi, along with her colleagues, studies the molecules that make up bacterial cell walls. Early discoveries by her lab revealed that some bacteria use sugar molecules called trehalose as building blocks. Bertozzi found the cell walls of M. tuberculosisparticularly compelling. “There’s some really interesting biology there.” She began working with a team of scientists who held personal stakes in tuberculosis research. After a chance encounter at a meeting at HHMI’s Janelia Research Campus, Bertozzi decided to collaborate with study coauthor Professor Bavesh Kana of the University of Witwatersrand in Johannesburg, South Africa. The researchers realized that trehalose molecules – those cell wall building blocks – might offer a way to flag living M. tuberculosiscells. But first, the team needed to find a chemical beacon that would make the flag visible. One chemical, called DMN, seemed to fit the bill. DMN can glow under certain wavelengths of light­ – but only when it is out of water. Because the M. tuberculosis cell wall contains a membrane that’s a “thick layer of grease,” Bertozzi says, it’s the perfect place for DMN to light up. In tests on sputum samples from 16 people with TB, DMN-Tre picked up M. tuberculosiscells in all of the samples. 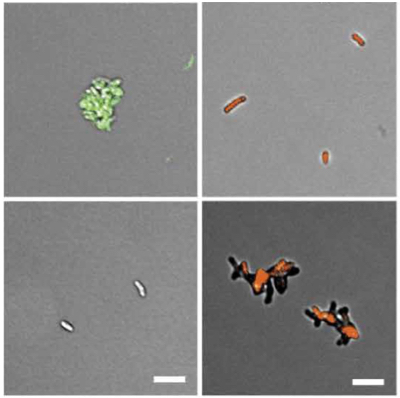 The new technique performed similarly to the standard – but more complex and time-consuming – labeling method based on the Auramine O stain, a dye that sticks to acids in bacterial cell walls. Other tests showed that DMN-Tre is selective to Actinobacteria, the bacterial phylum that includes M. tuberculosis. Human cells and other types of bacteria, both of which are plentiful in sputum samples, don’t incorporate the molecule, the researchers found. More work remains before the molecule is ready for use in the field, Bertozzi says. But she’s optimistic that the new method could prove useful in the global fight against TB. Her team can get fluorescent images in about an hour, but the researchers would need field-ready portable fluorescence microscopes­ to detect the bug. Still, Bertozzi points out that may be possible one day with work from Stanford collaborator Manu Prakash, an HHMI-Gates faculty scholar who debuted an origami-based paper microscope in 2014.